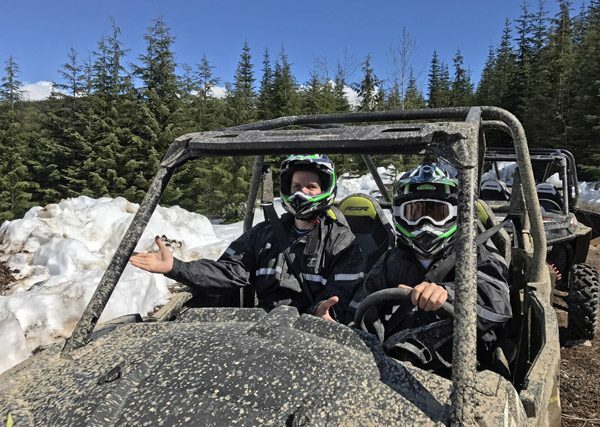 The Adventure Group of Whistler BC Canada runs a fun ATV ride through the forests and views above town. 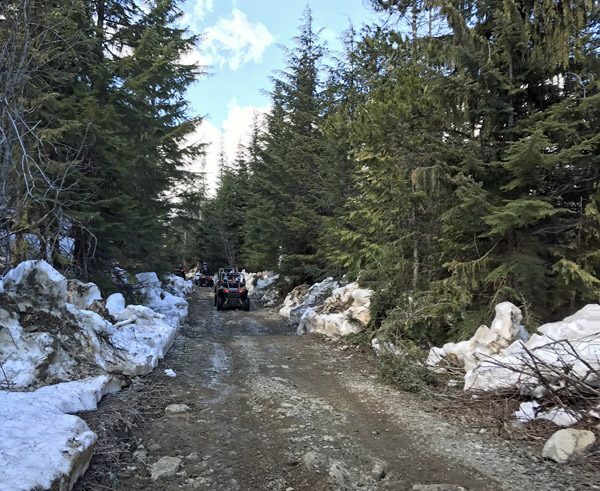 Rocky, bumpy, dusty, muddy forest roads are easily handled by the Polaris RZR ATVs. 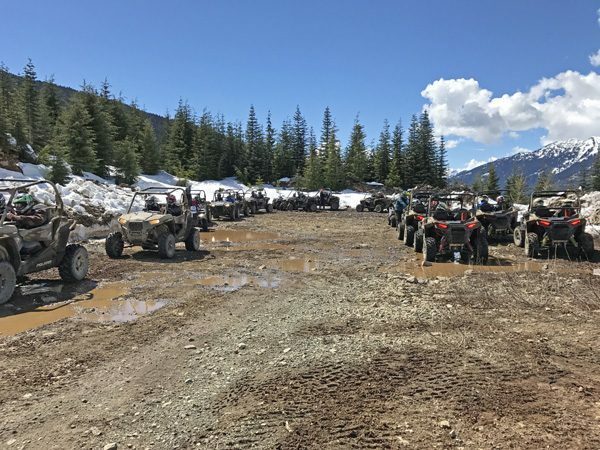 Scrambling up rocky inclines, spinning tires, and getting muddy is what it’s all about. 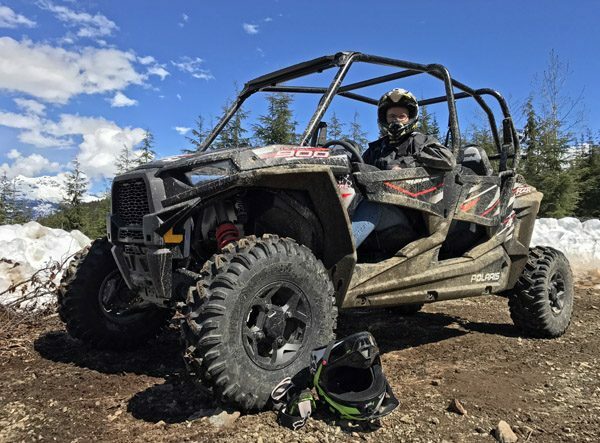 There are 2 seater and 4 seater versions of the fancy ATVs, which come complete with a regular steering wheel, roll cage, and cushioned seats. Wear old clothes, though, since the splashes will get in. The tours were set up with two participants per vehicle, which unfortunately means that you can only drive half the time. But it’s still fun, no matter where you sit. After traversing through the forest roads, the tour ends up high at a sweeping mountain vista. Then the group turns around, heads back down, goes past base camp, and explores more roads before heading back to end the tour. Well recommended for some mud spinning fun.